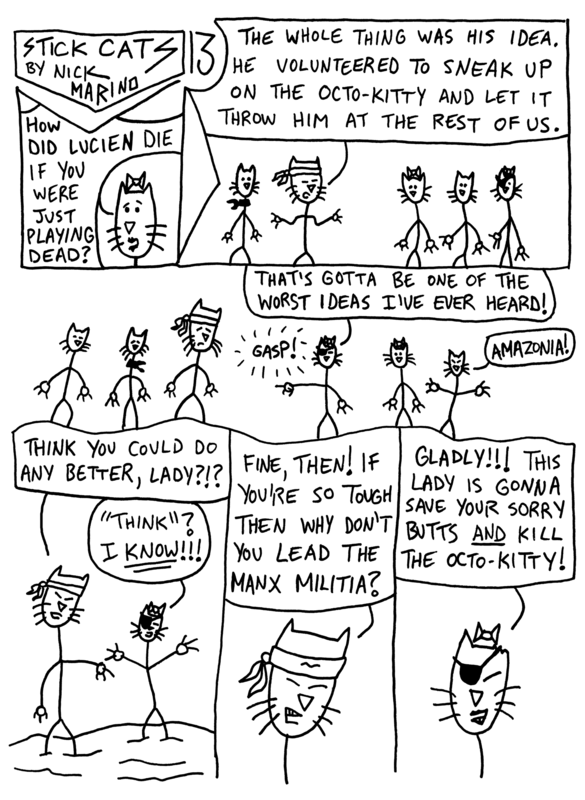 Previously in Stick Cats: The Manx Militia is dead!!! 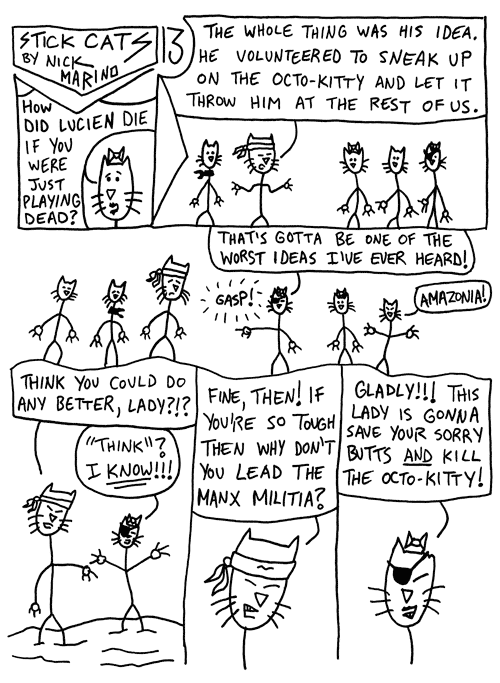 No... wait... the Manx Militia was just playing dead. Well, all except for Lucien, who actually died.